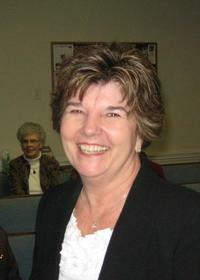 Ms. Chris has many roles in the church and is a very warm and encouraging person to be around. She knows all the ministries and needs of the church well. If and when you feel God tugging at your heart to get involved or to help out in an area of ministry this is a good person to start with. What is your spiritual gift? There is a place for you here. Why are you waiting? Call me or e-mail me, I'll help you find a ministry where God can use you right here.